Unfortunately, the Marketing Mix has become has-been. and how it does this — place and promotion. But in 2019, marketing needs a better definition. In this article, you’ll learn a better alternative that will help you organise your marketing strategy. This new marketing mix fits in 4 Ms.
and how you entice them to buy from you – message and media. Marketing is the bridge between the organisation and its customers–a relationship that leads to providing a business with cash flow. Defining what marketing stands for in 2019 isn’t an abstract issue. The way a company defines marketing shapes how it organises its marketing. This is crucial if you want to build a strong brand and a successful marketing strategy. Following the success of this article, I published The Value Mix. 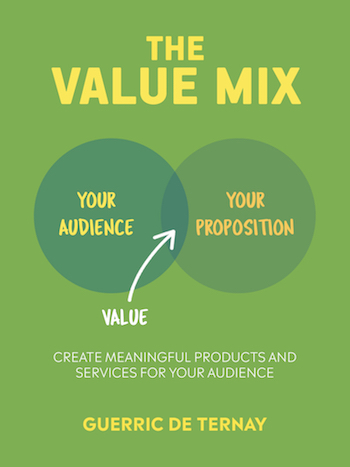 This new book helps you create successful propositions with a practical alternative to the marketing mix. 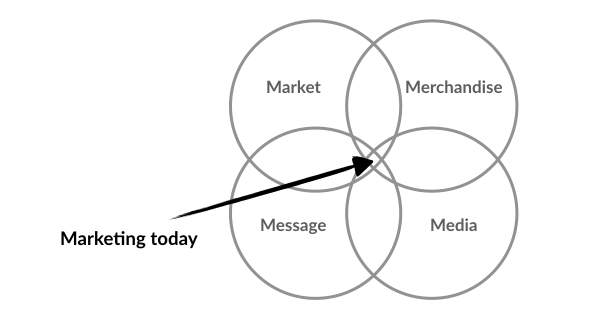 So let’s define today’s marketing mix using the 4 Ms of the marketing mix (I added one as a bonus). Second, marketing strategy has switched from a linear approach to an experimental, iterative approach. Real data is now available to support marketing decisions and refine them over time. 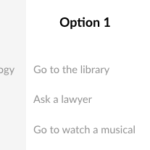 Here’s how you can take these shifts into account. The first step of developing a successful business strategy is to understand who your customers are. Defining and understanding the market first helps you avoid the pitfalls of marketing myopia, a term coined in 1960 by Theodore Levitt, the then editor of Harvard Business Review. Businesses that focus on selling products rather than serving their customers limit the scope of their market. Customer-oriented businesses work on helping customers achieve what they want to do and don’t limit the market to a certain category of products. Gaining insight into your market means identifying who your customers are and empathising with what they want to achieve. It requires you to understand their problems. You can’t limit yourself to segmenting the market based on demographics. There is, of course, some correlation in the way 30-to-45-year-old men tend to live their lives. But it’s not enough. Demographics is a shortcut to segmenting the market but it gives little insight. GoPro doesn’t focus on selling cameras to people in their twenties and thirties–the so-called “millennials”. Its focus is to help people record the cool things they do, including extreme sports. It’s easier for GoPro to sell its HERO5 camera to passionate surfers and skiers than for it to attempt to identify who the “millennials” really are. (3) It makes it easier to understand how to sell your merchandise and build relationships with your market. Here’s a practical way of approaching this: Some smart companies narrow down the scope of their market. They target what they call a Minimum Viable Audience. The objective is to make sure they offer something meaningful for their market! Marketing goes beyond the concept of products. As marketers, we’ve changed our thinking from the physical object that is being sold to the overall experience that we offer to our customers. 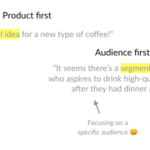 This is why marketers often refer to “product and services” but marketing also applies to ideas, movements, jobs, cities, countries, and even individuals. Tailoring the right value proposition for your merchandise requires you to understand the market very well. You gain insight thanks to business experimentation–an iterative process of running insightful market research and observing how your market reacts to different versions of your merchandise. Focusing on a well-defined market helped me write The Value Mix. 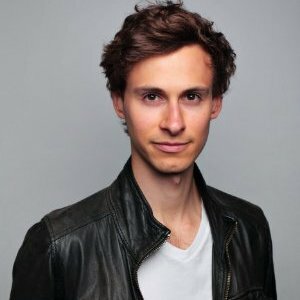 I realised that many product managers and entrepreneurs I knew were struggling to bring market research all together with their product strategy. They needed a framework to help them understand what their market wants and build the right product for them. This led me to write a book that helps them do that. But that wasn’t it. To make sure this was the right book for them, I constantly iterated. I published a first draft that I sent to a few friends. Their feedback helped me tailor a better version that I published on Leanpub. The platform has allowed me to release several versions of The Value Mix. It felt like writing software. Based on the comments I receive, I can adapt the book and the case studies I feature to make sure it’s all relevant to my readers. Tesla has mastered the iterative process of constantly testing and improving its merchandise. Every now and then, the electric carmaker updates its software to add new features to the car. It has also recently leveraged the power of crowdfunding, another way to engage its market and experiment with coming merchandises. Hundreds of thousands of Tesla Model 3 were pre-ordered, a great way for Tesla to evaluate the demand for its new car before producing any. The merchandise is what marketers tailor and offer to create a set of experiences for their customers. Your message is what you tell your market so they can tell themselves a consistent story about your merchandise. There’s a natural misalignment between the story you tell and the one people tell themselves. They only get a portion of your message. Nobody has enough time and energy to know the whole story, so they make up things with the portion they know. As a result, your message needs to be very simple and consistent across all media. How much do you really know about, for example, Amazon, Apple, or Samsung? Probably just enough to tell yourself a story that makes sense and convinces you to buy from them. So your marketing strategy needs a simple and memorable message. Many companies fall into the trap of wanting to be everywhere. But this dilutes the ability to reach the market effectively. 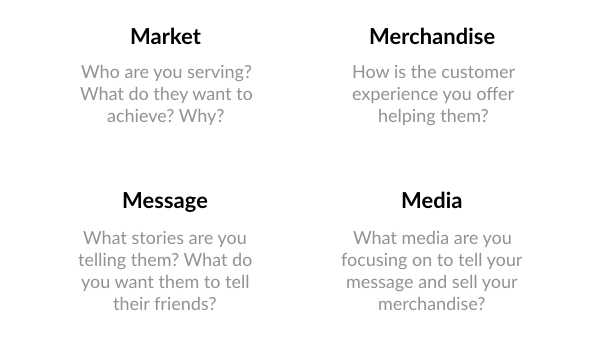 Choosing the right media depends on four elements: who is in your market, what is your merchandise, what message you are sharing, and what do your competitors already do? Today’s analytics tools–the so-called Marketing Tech (or MarTech) tools–are essential to figuring out the best way to share your message. Thanks to an experimental approach, your team can find out how to improve your marketing campaigns over time. Well managed, Google Analytics can tell you exactly how a specific digital marketing campaign drives your sales. You can then experiment to figure out how profitable each channel is. This is how I know for sure that SEO is a more profitable channel than PR for GoudronBlanc. Having this level of precision helps to make better-informed marketing decisions. MarTech tools are very useful in the process of gaining insight into the market. 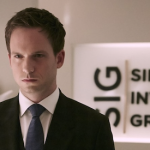 But they are also great in terms of competitive intelligence. For example, a tool like SERanking—one of my favourite SEO tools—allows you to get insights into your competitors’ strategies in display advertising as well as organic (SEO) and paid search (SEM). You can find out the keywords people have used the most to land on your competitors’ website. It’s a handy way to inform your digital marketing strategy and leverage the best media. A good framework offers guidance. The four Ms are useful to make sure that you checked all the aspects of what you’re selling and how you’re selling it. The brands that win succeed to get consistency across the four Ms. This is a matter of how you organise your teams and how you allocate roles to cover all these questions. Want more practical advice about creating successful products? Get the Value Mix. You’ll love this book because it helps you create products that make a real difference. This definition is a starting point to how marketing has to be seen today. My inspiration for this article comes from Al Ries, the great mind who popularised the concept of positioning. He recently challenged the four P’s, suggesting an alternative framework, the 4 M’s: merchandise, market, media, and message. It illustrates how marketing today has a much broader scope than it did in the dark days before digital. But Ries’ framework is missing the modern approach to marketing that tech companies have developed over the last 15 years.